Faith Pinho Awarded ODK Leader of the Year for Journalism Pinho’s award is part of ODK’s 2018 General Russell E. Dougherty National Leader of the Year competition. 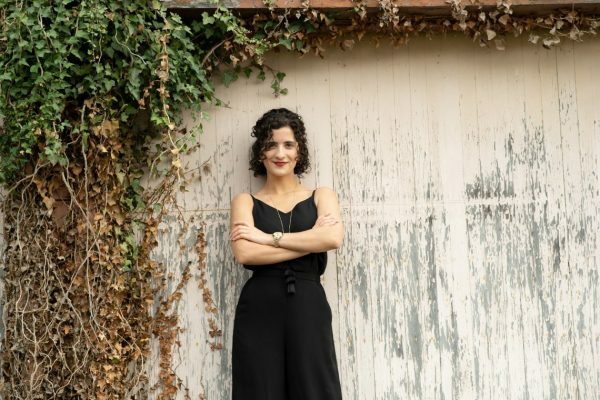 Faith Pinho, a 2018 graduate of Washington and Lee University from Everett, Massachusetts, has been named Omicron Delta Kappa’s (ODK) Leader of the Year for her work in journalism. Pinho’s award is part of ODK’s 2018 General Russell E. Dougherty National Leader of the Year competition. 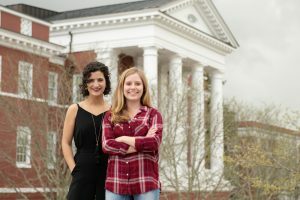 She will receive a $1,000 post-graduate scholarship, and W&L’s ODK chapter will receive a $300 grant. Pinho also received two awards from the Society of Professional Journalism, Region 2, for pieces that aired on WMRA public radio. Her piece about local musician Jonathan Chapman Cook won in the radio feature category. Her coverage of R.E. Lee Episcopal Church’s name change to Grace Episcopal won for radio news reporting. A third piece, published in The Rockbridge Report, was a finalist. Following graduation, she will work with The Indy Star newspaper in Indianapolis as a fellow with the Pulliam Journalism Fellowship. ODK, founded in 1914 at Washington and Lee, recognizes not only academic achievement, but also campus leadership in five areas of campus life: scholarship; athletics; campus or community service, social or religious activities and campus government; journalism, speech and the mass media; and creative and performing arts. It has some 285 circles at colleges and universities across the country.